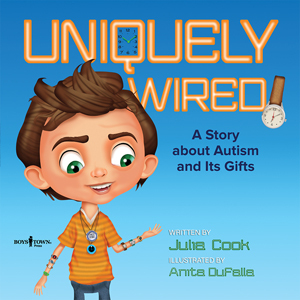 April is Autism Awareness Month and national award-winning children’s author and parenting and autism expert Julia Cook (www.juliacookonline.com) recently answered my questions about her new book Uniquely Wired: A Book About Autism and Its Gifts from Boys Town Press that focuses on a young character named Zak who has autism. Zak encounters life in unconventional ways and describes his point of view as young readers gain a better understanding of his behaviors and learn valuable lessons about patience, tolerance and understanding. Do you write children’s book on autism for a core audience of young people to make the highest impact? While presenting at a special education conference in Malaysia, I had the privilege of hearing Stephen Shores speak. He has autism and has the unique ability of explaining how he sees and interprets his world. It’s as if he has one foot in the autism world and one foot in the typical world. I listened to every word of his talk and incorporated his experiences into the story. I also had the opportunity to meet with Dr. Melissa Reinhardt – a pediatrician and mom of three boys (one who is uniquely wired.) Her insight both professionally and personally was key to getting “it” right! This book is told in first person by a boy with autism, so kids are drawn in immediately. When kids understand the “why” it is easier for them to accept the “what.” Young children by nature are very accepting of differences, but information is key to developing this acceptance. Children with autism are often ignored and/or shunned by others who are unsure of non-typical behaviors. Since social interactions are so difficult for uniquely wired kids, it is vital that typical kids feel comfortable enough to integrate and relate to them. This book can be that vehicle for understanding in a concrete, colorful, creative way. I focused on behaviors that Stephen Shores pointed out in his talk as well as those that Dr. Reinhardt wanted emphasized. Dr. Reinhardt has many uniquely wired patients and is often explaining specific behaviors and responses to parents, teachers and siblings. I also used my research from writing Amazing ME! – It’s easy being 3 – The CDC’s Learn the Signs storybook that I coauthored with Dr. Jana (see www.cdc.gov/amazingme). The behaviors and reactions in this book had to be both specific and general enough to relate to every reader. There is a saying…”If you’ve met one child with autism, you’ve met one child with autism,” so deciding which behaviors to emphasize was pretty tricky. Therefore, I relied on the experts in the field to tell me how to navigate this challenge. Have kids take a piece of paper and fold it and tear it step-by-step using oral instructions only. The kids are not allowed to look at you to see your example and are not allowed to look at other kids’ papers for comparison. They can only rely on their interpretation of instructions. Each paper will end up looking different from the others because we are all uniquely wired when it comes to interpretation. Children on the spectrum don’t learn by watching others…they mostly learn from things that are taught directly to them. We really need to emphasize with all children that everyone is uniquely wired. “If we meet one child with autism… we have met ONE child with autism.” By celebrating individual differences in everyone, kids can better understand it is uniqueness that makes life interesting. I am a former school counselor and middle school teacher and it is my passion to make a positive difference in the lives of children. My gift is to translate research and important information into kid-friendly, purposeful stories. Children often want us to waive our magic wands and solve their problems for them. But what we need to do instead, is offer them tools to use to become their own problem solvers. Creatively written children’s books are a great vehicle to use to carry that information into their heads because when you read to a child…they let you in! I was a ski instructor in my younger years and it was on the mountain that I developed a love for teaching children. 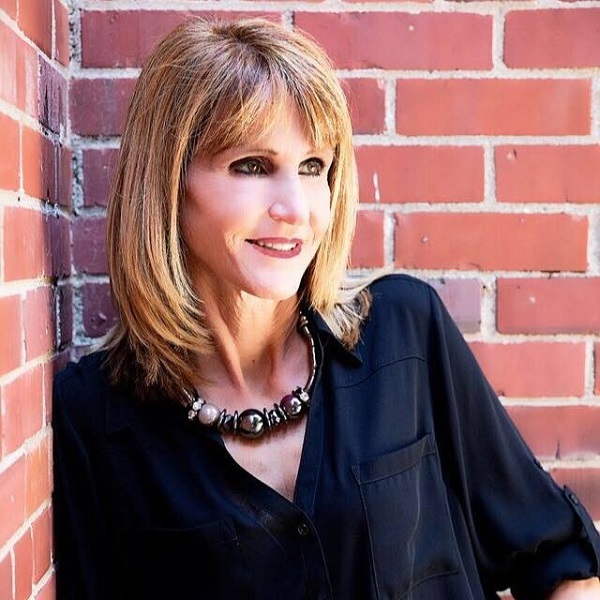 I became a middle school math teacher specializing in at –risk youth populations and decided to get a degree in counseling to become a more effective teacher. When the town that I lived in needed an elementary school counselor, I decided to get my feet wet. While in elementary, my kids were really having a difficult time with tattling. I set out to find a good book about that and when I couldn’t, I decided to write a story for them. That story worked and on a whim, I called an educational publisher and my story was accepted (A Bad Case of Tattle Tongue © 2006.) Fast forward 12 years and now there are 86 titles produced by two outstanding non-profit publishers (profits from ALL books go back into helping at-risk kids, teachers, school counselors and parents.) I never in a million years expected the books to take off, but it is such an honor and a privilege to see that I am making a positive difference with kids, parents, parents and educators worldwide. This entry was posted in 1Life and tagged author interview, autism, Books, interview, interview feature, Julia Cook, Michael Siebenaler, Mike Siebenaler, Tall Writer, Uniquely Wired. Bookmark the permalink.